What music do I have for a Civil Wedding Ceremony? For many, the traditional Wedding Ceremony held in a Church or Chapel, is now longer relevant or practical for couples getting married, particularly if you have very strong thoughts on religion, or perhaps if it is your second time round. In the past, if you decided not to go down the “traditional” route, your only option was to hold the Ceremony at your local Registrar Office, but over the last few years, there are increasingly diverse options in terms of the venues that hold licences to host Wedding Ceremonies. 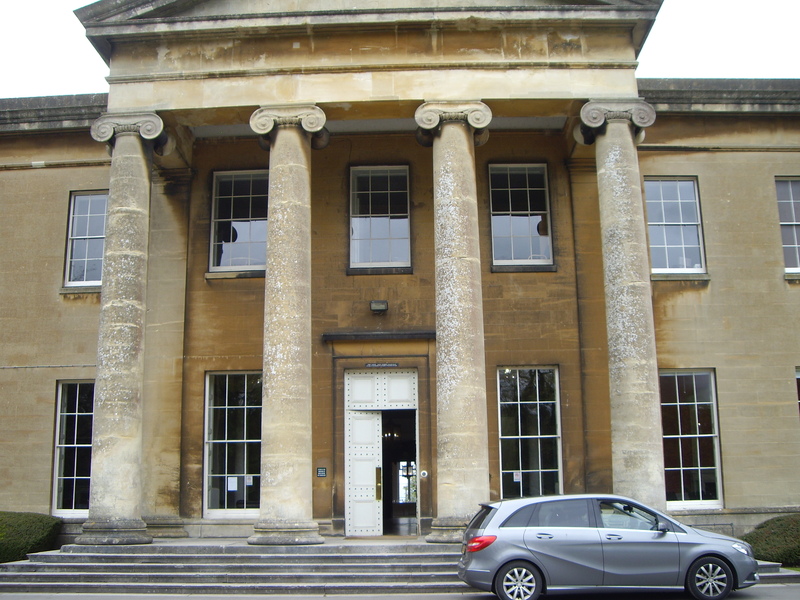 These can range from Hotels to Country Houses or from Lighthouses to education establishments. In fact Mrs. Wife and I were married in the Undercroft at the fantastic Cardiff Castle! 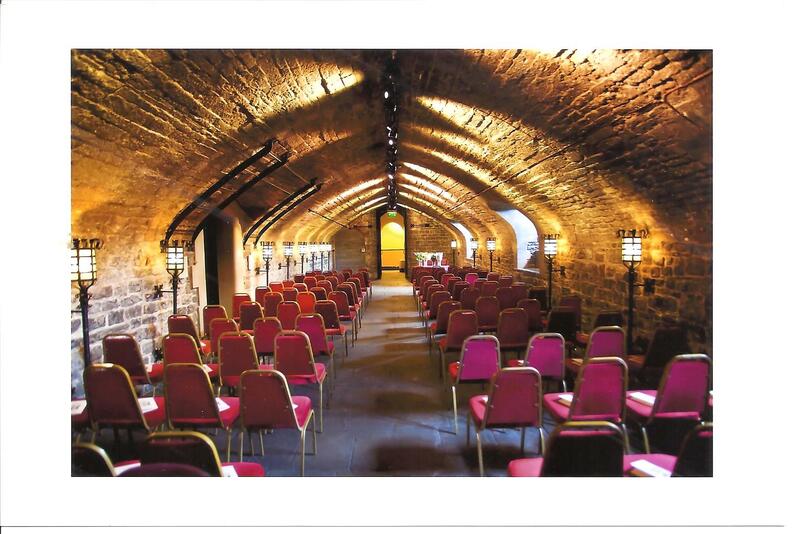 Having the Ceremony at these venues is great, as you are free to design your dream wedding, however this throws up the issue of what music you have. What does the Bride walk in to for her “grand entrance”? Clearly there is no church or chapel organ and the only other option is the dreaded CD player or house PA (if there is one). The latter option may be nice and cheap/free, but it has as much soul and vitality as a corpse! LIVE music however, will certainly guarantee to get the tears rolling (for all the right reasons! ), the hairs on the back of your neck stood up on end and goose-bumps galore. Brides – Regardless of whether you have a bold and triumphant fanfare, or a calm and serene entrance, you want it to be special, meaningful and most importantly – memorable! Only LIVE music can achieve this, creating the right mood and ambience for the rest of the proceedings and it will be one of the best decisions you make regarding your “big day”. Let’s face it; the entrance of the Bride is the first and most eagerly awaited moment of the day – so make it a good one! 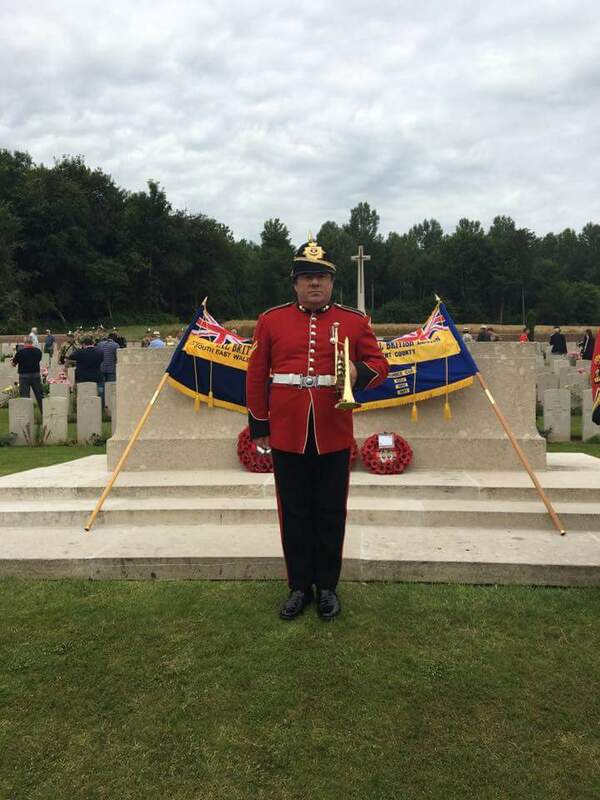 Needless to say, Clare (my Wife) entered our Wedding to the sounds of the Fanfare Trumpets of The Regimental Band of The Royal Welsh and the rest of the music was provided by the Music for You Brass Quintet. “Unforgettable!” Not my words, but of my new Wife and so many of the guests who attended that day. 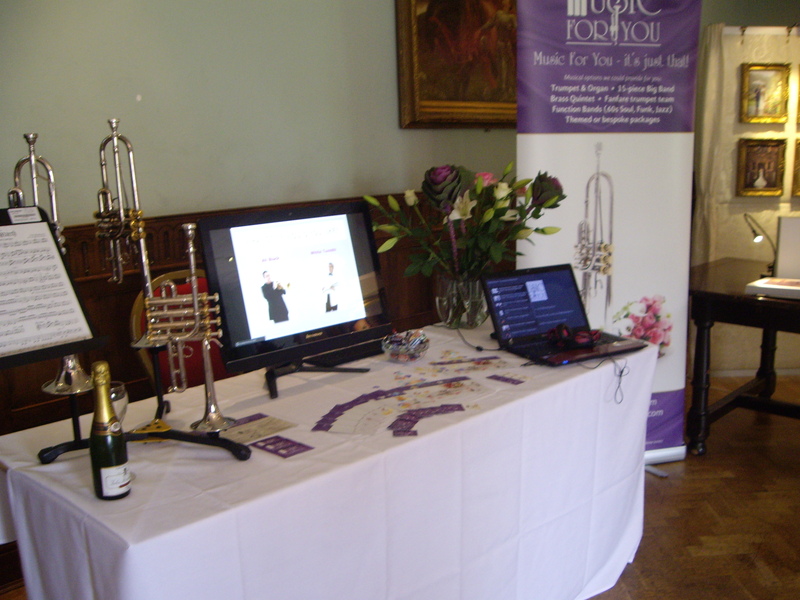 On Sunday 4th October, Music for You made its début as an exhibitor in the world of Wedding Fayres. The venue was the lovely Miskin Manor Hotel, near Llantrisant (which is on my door-step as it happens), however getting to the point where I was ready to bite the bullet and “go public” as an exhibitor had taken an extremely long time. The main worry was that I didn’t have snazzy enough marketing materials, glitzy banners and corporate wear and all the things that makes a self-employed sole-trader feel small and inadequate amongst all the established “bit-hitters” in the wedding industry. My fears thankfully were unfounded, as all my fellow exhibitors were very helpful and generous with their compliments and advice, with lots of top tips to take away for future events – yes, to paraphrase Arnie “I’ll be back!” For a first time out, I felt I managed to “keep up with the Joneses” and the feedback was extremely positive, both from the exhibitors and visitors to the Fayre. Once I had finally set up the stand, it was then down to the serious business of engaging, pardon the pun, with future brides, grooms and extremely worried looking parents (seeing their savings being rapidly blown by their daughters!) to try to persuade them of the merits of live music for their Wedding celebrations. My main focus, was to try to promote the brass quintet, as this has so much versatility on a number of levels, particularly the musical repertoire it can offer. The quintet comprises two Trumpets, a French Horn, a Trombone and Tuba. What struck me instantly, was that the people I spoke to instantly assumed that brass instruments were either loud, brash, “in your face” and rather uncouth for a wedding and that the “noise” would be rather unrefined to say the least. So, the as the old saying goes “Don’t knock it, until you’ve tried it” rings true and I hope that my maiden voyage at a wedding fayre, will produce some new “converts”, who at some point in the near future will actually book us for their very special day! Even if they don’t, they will now be aware of the wide range of colours and timbres that brass instruments can produce. 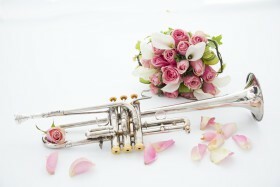 For more details about Music for You and our wedding music, please visit our web-site. 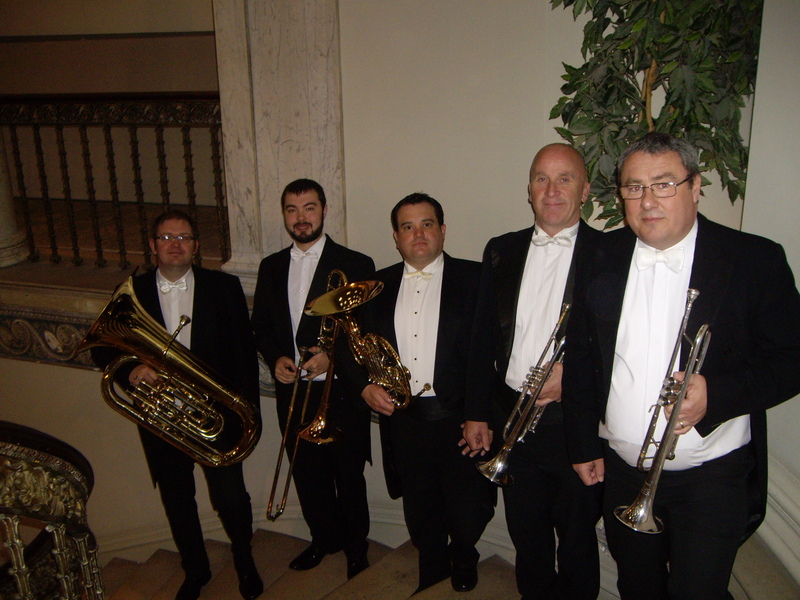 When you are looking for music for your wedding, then why not consider how a brass quintet could add a wonderful range of musical accompaniment to your wedding day? From the wedding march, to incidental music during the wedding ceremony and signing of the register, accompaniment to any hymns during the wedding service, and some soft background music during the reception after the marriage, a brass quintet is highly versatile. After all, we can help you choose from more than 700 years of music: classical to soft pop, Elizabethan to Victorian, music from films, whatever the era you choose. 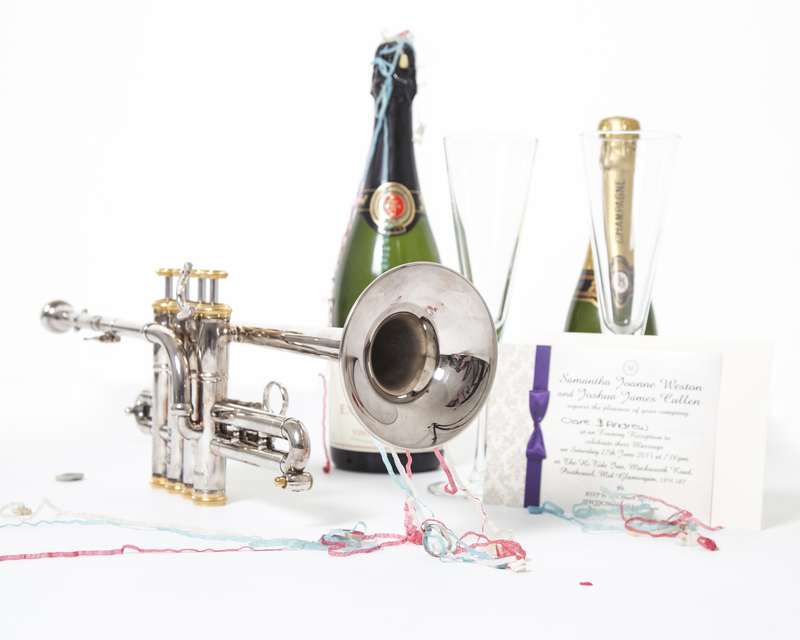 A wide range of classical wedding music was written for the trumpet, with celebratory fanfares being an ideal backdrop for the processional at the end of the wedding service. 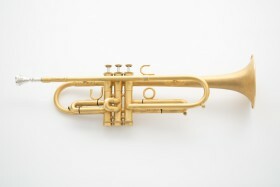 A brass quintet typically includes two trumpets, french horn, a trombone and tuba. And, if you’ve not seen a quintet perform before, you will be amazed by the range of music the group can perform, as well as the variety of sounds, from loud fanfares to quiet, subtle soft music that provides an ideal welcoming atmosphere for visitors to the wedding ceremony. Thinking of music for your wedding? 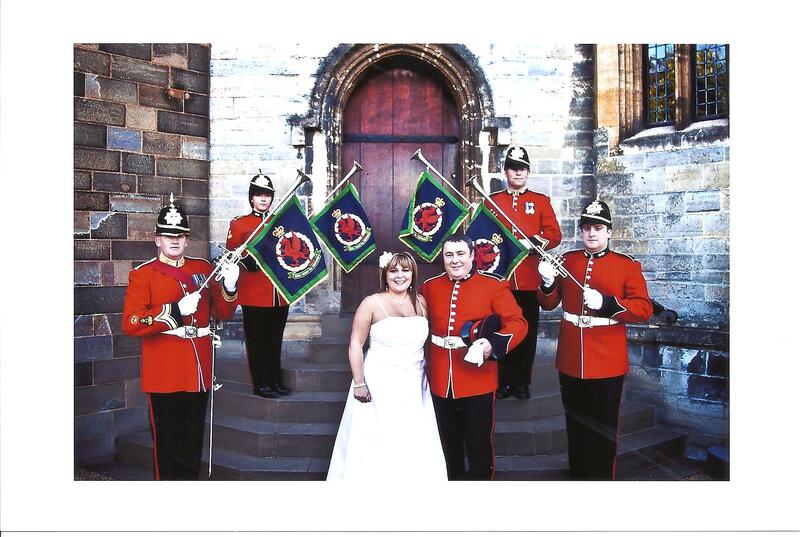 Then get in touch, and discover how a brass quintet could make your big day even more special.